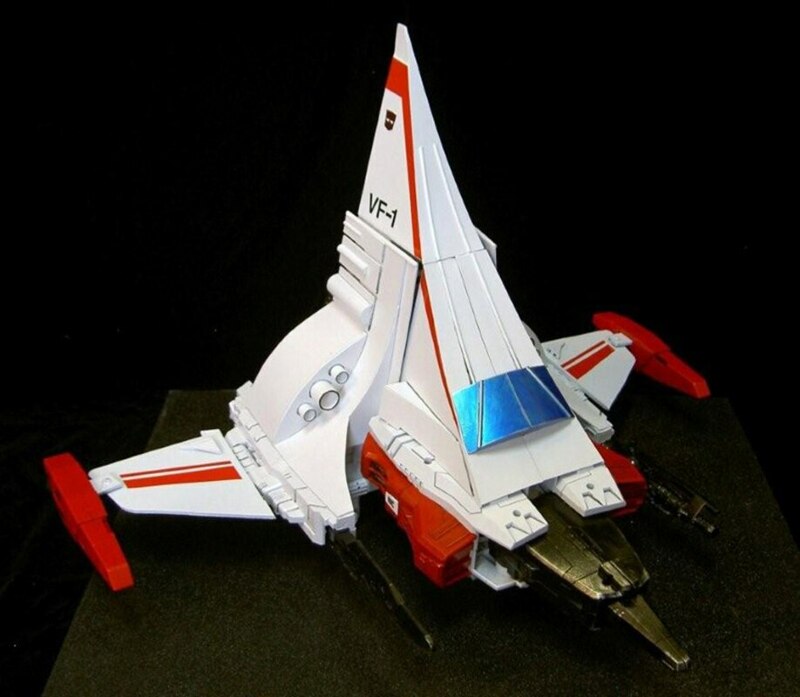 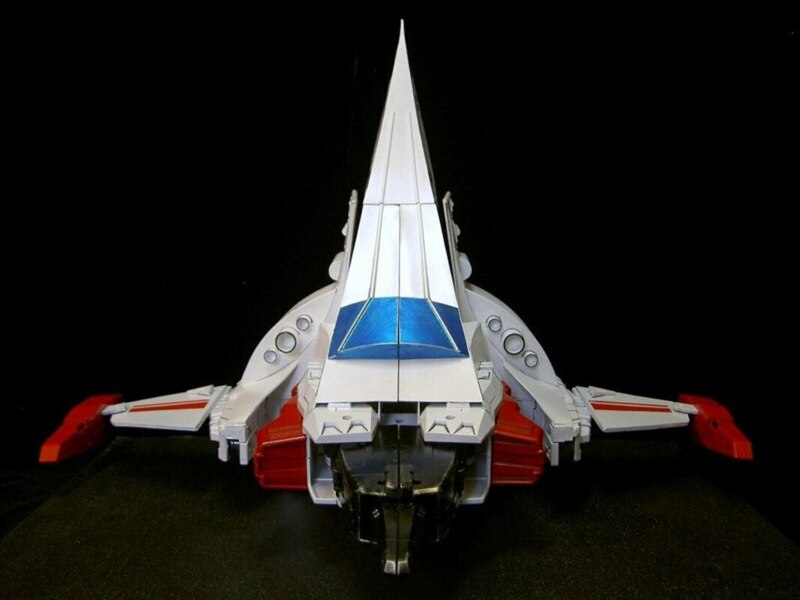 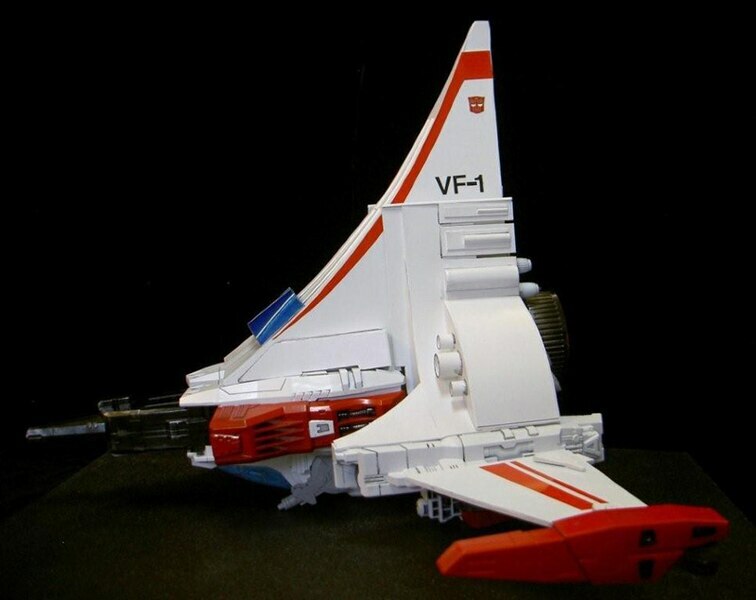 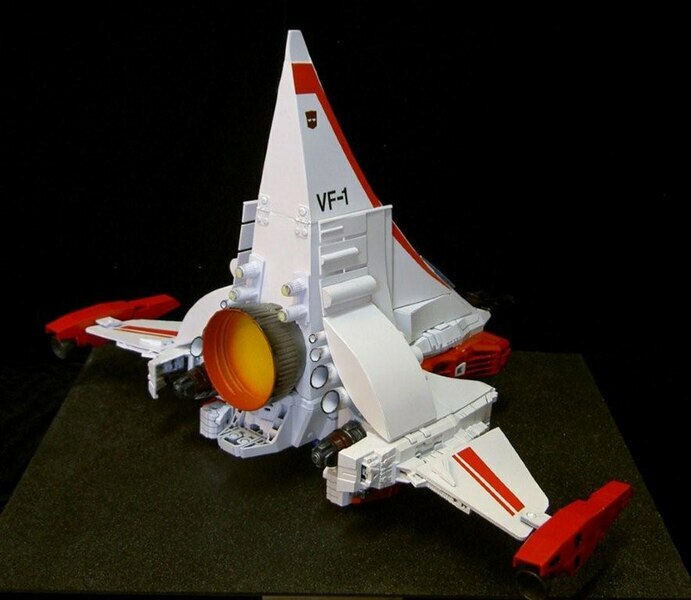 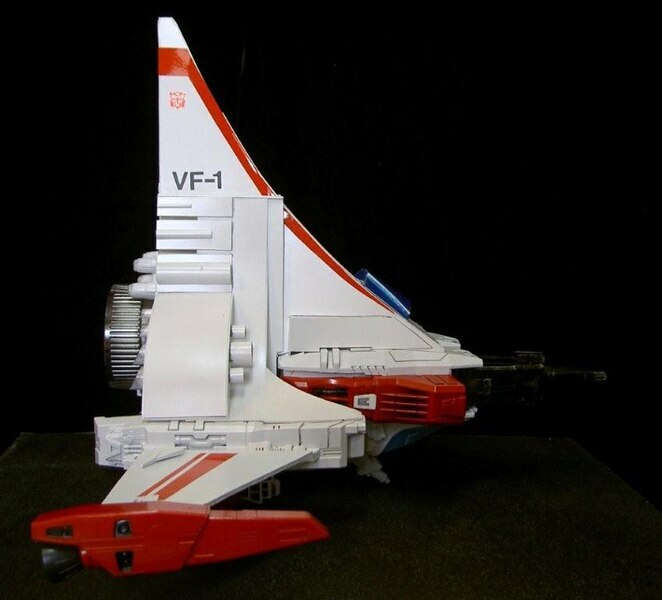 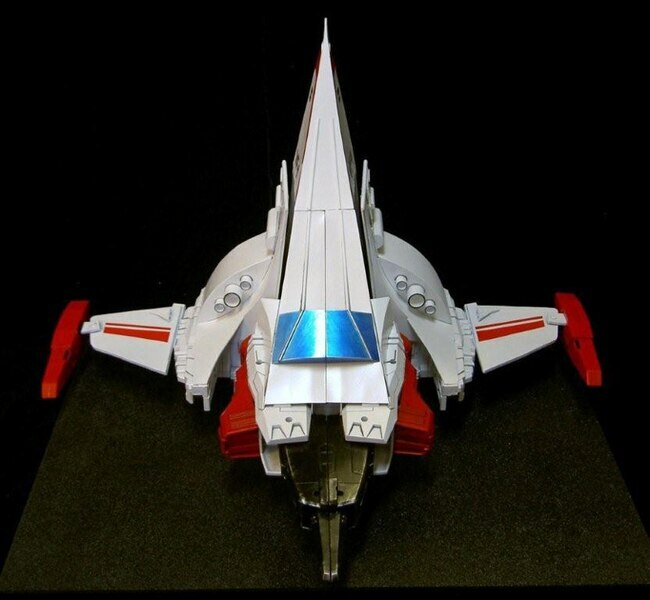 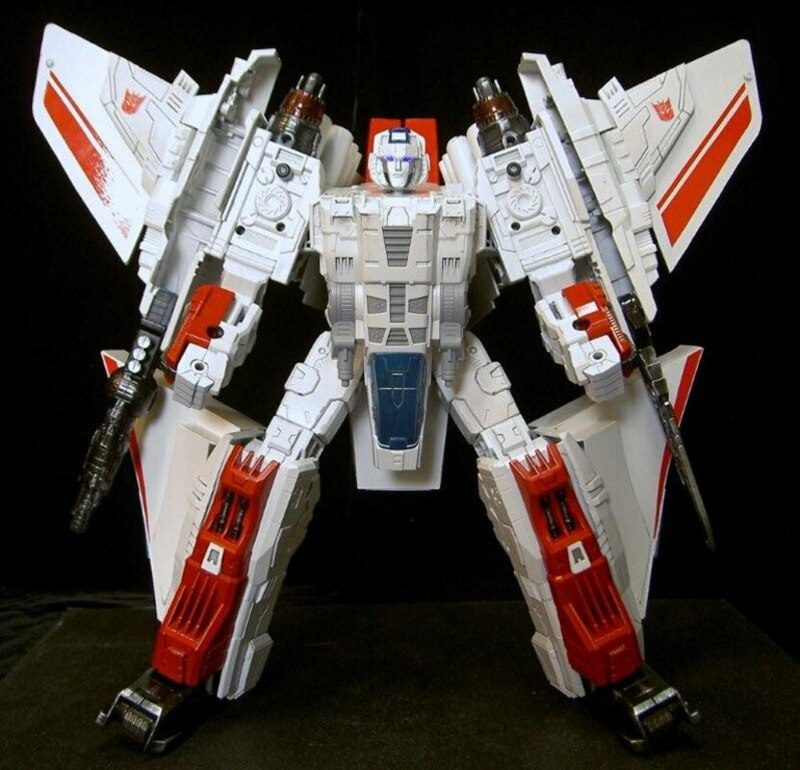 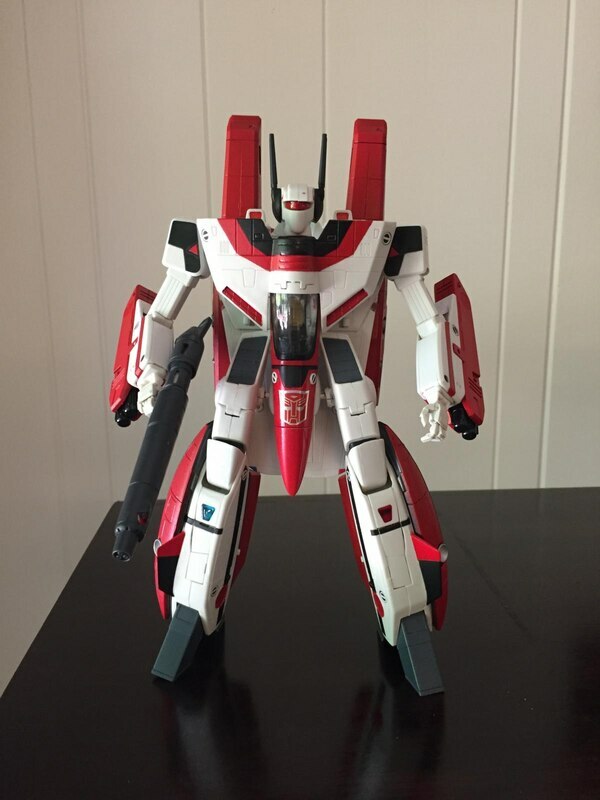 This week's TNI Cool Custom figure is of a Transformers G1 Jetfire Tetrajet Supreme by Kingbotz. 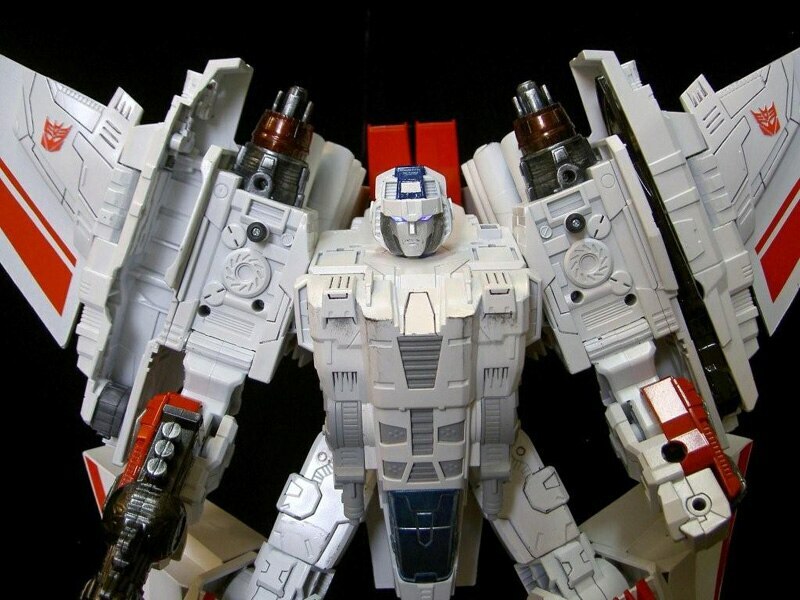 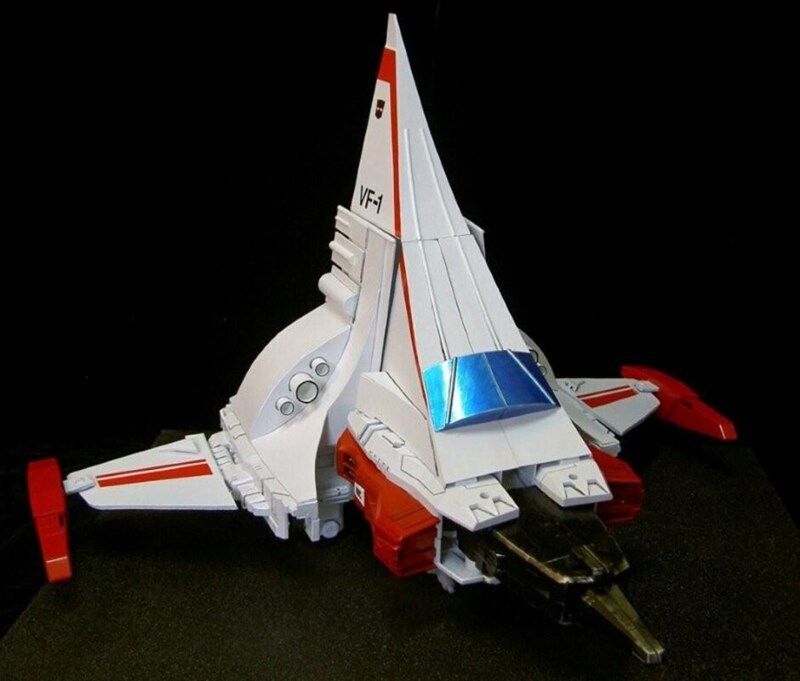 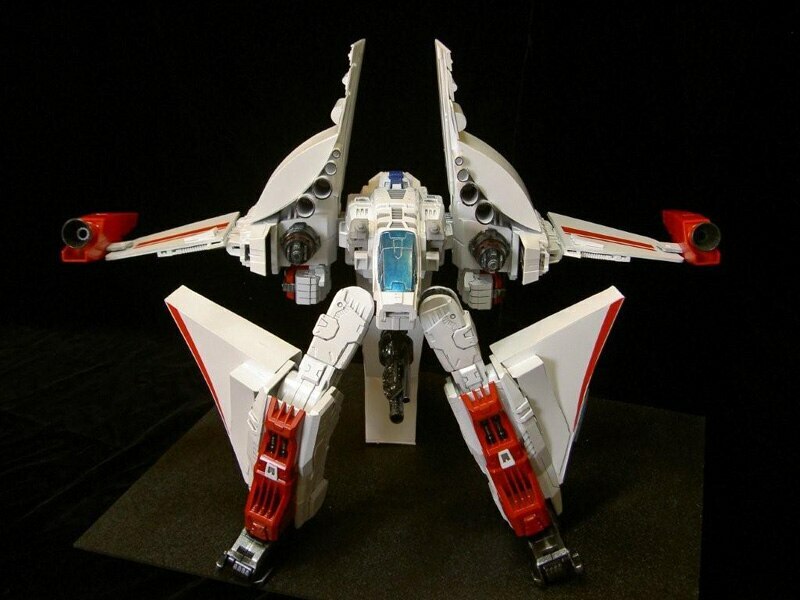 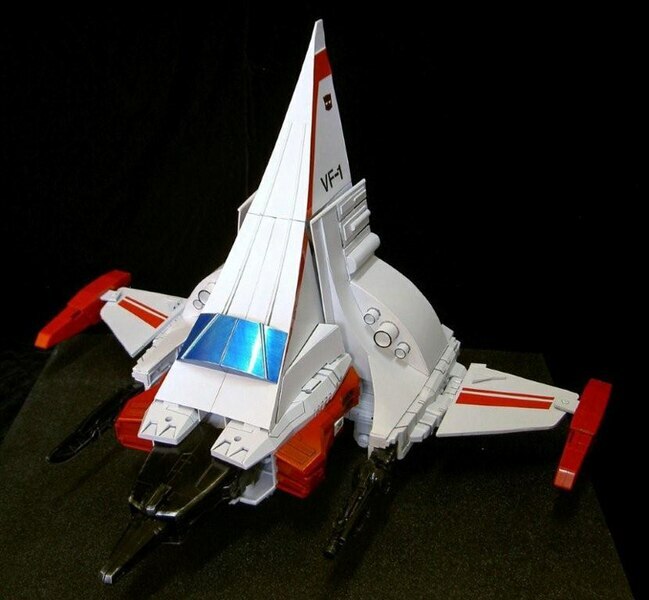 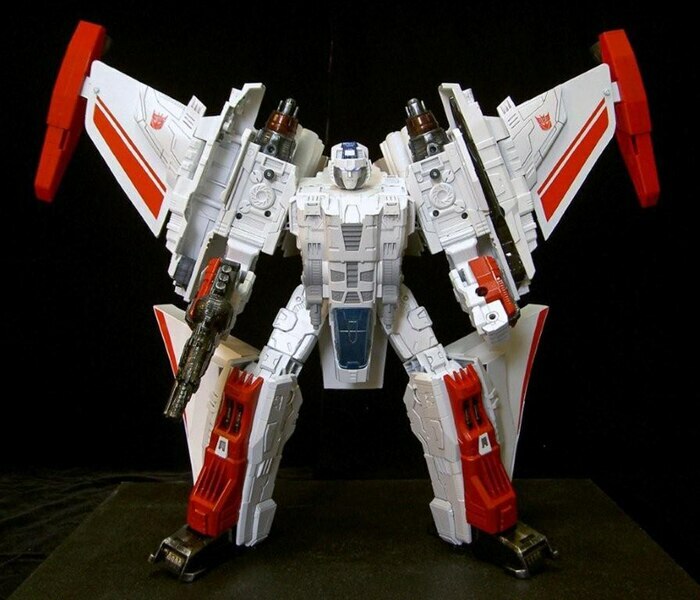 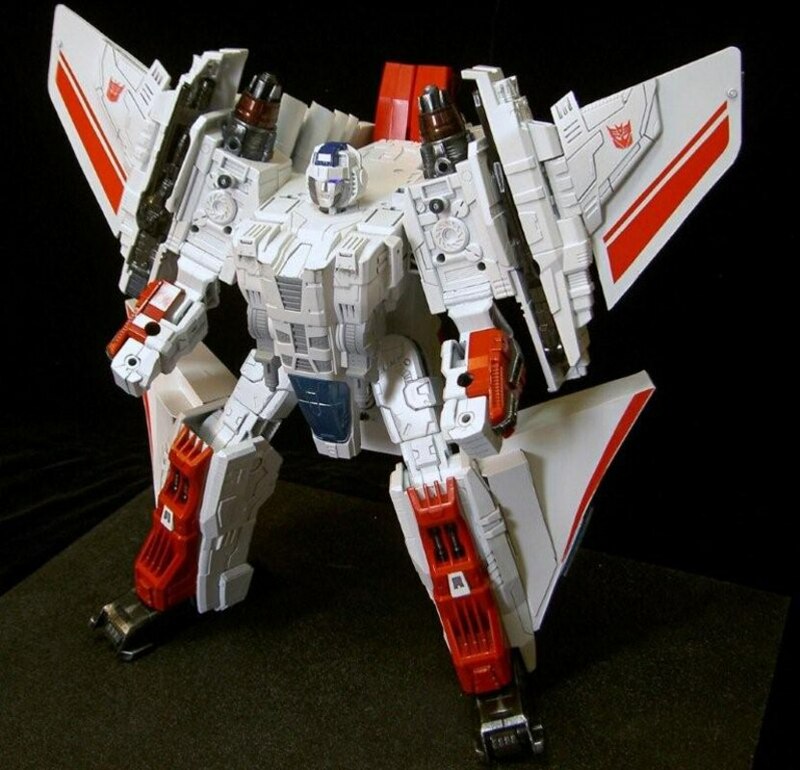 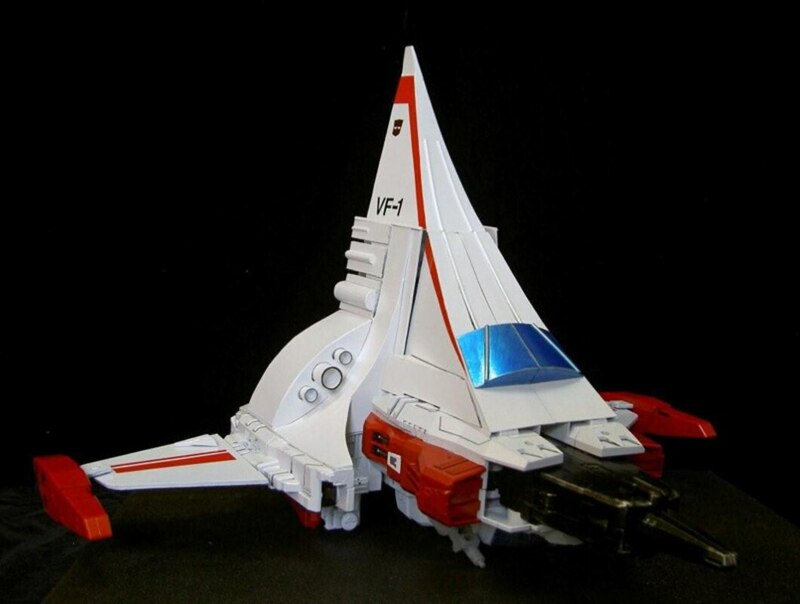 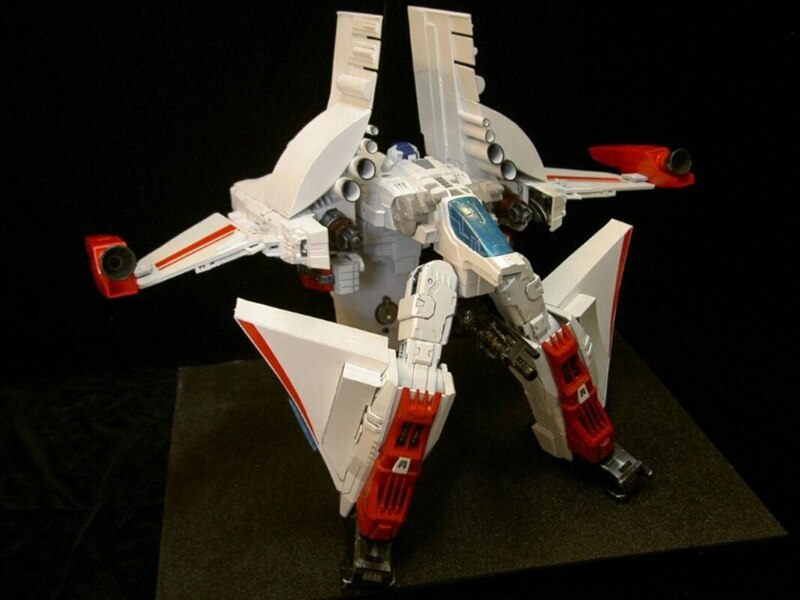 "IHere is the latest addition to my line of Tetrajets, G1 Jetfire. 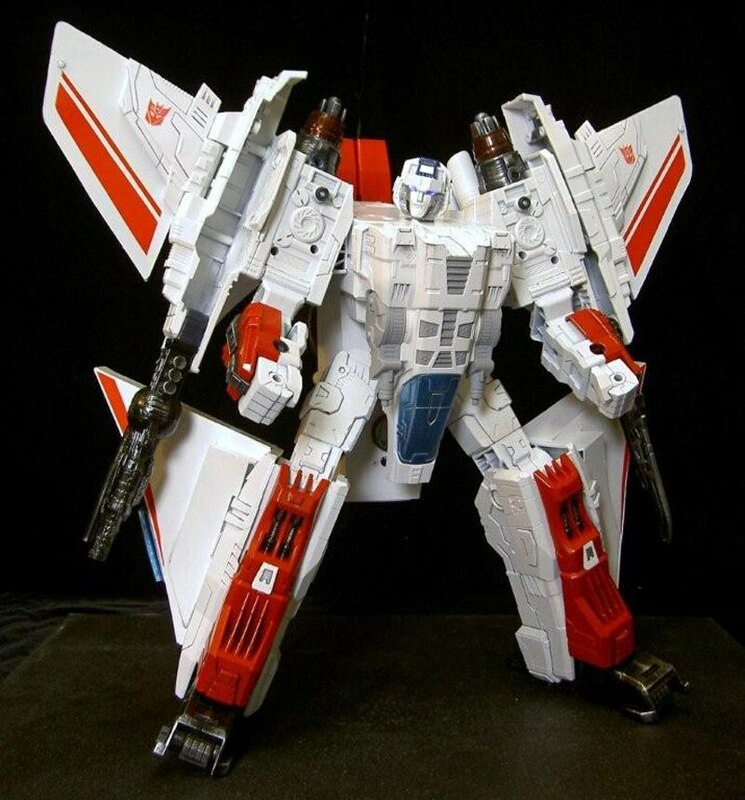 I believe Jetfire would have still been in his Cybertronian jet mode when he crash-landed on earth, and this is my depiction of him as a Tetrajet. 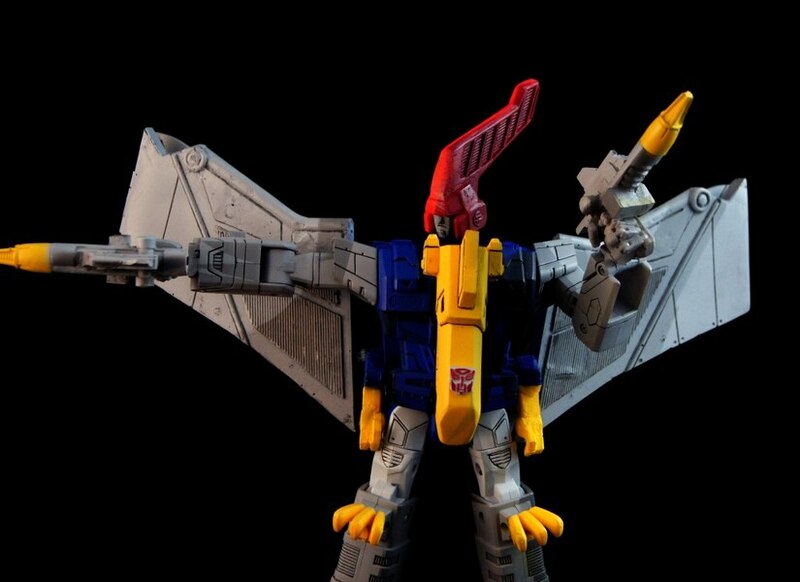 I wanted to make him different from the rest, since he was bigger and faster than the other seekers in the cartoon...so I bulked him up and added his G1 boosters as a tribute that can be mounted in different ways or taken off completely. 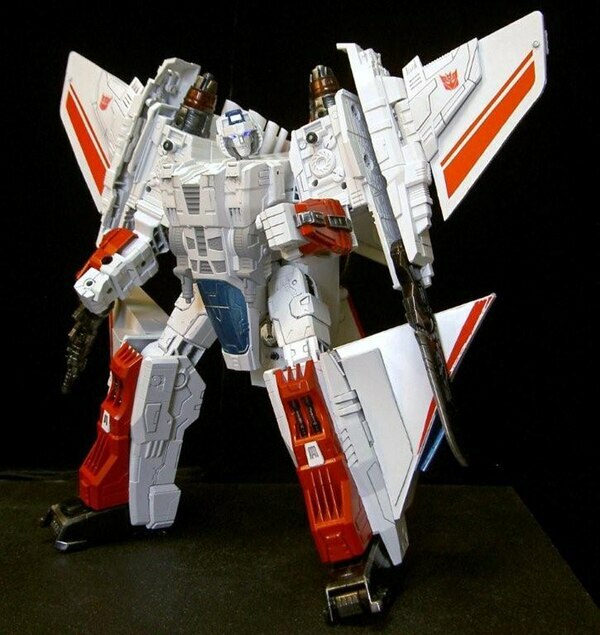 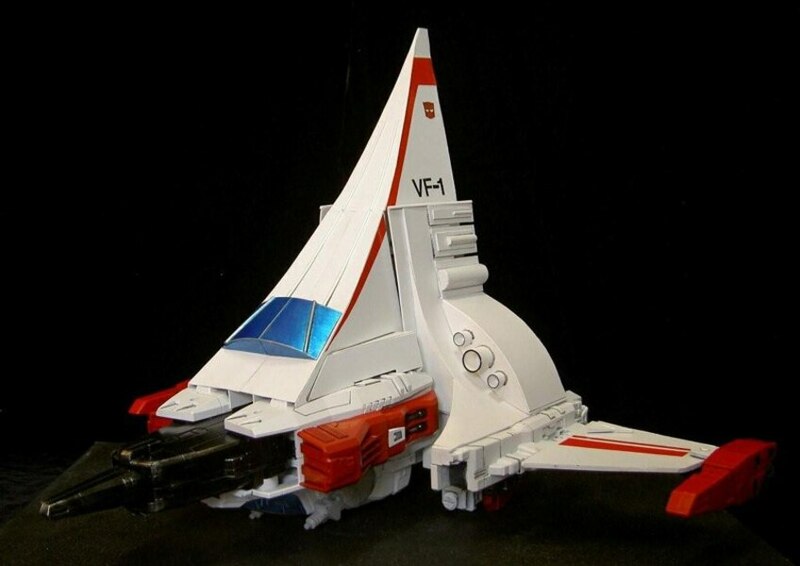 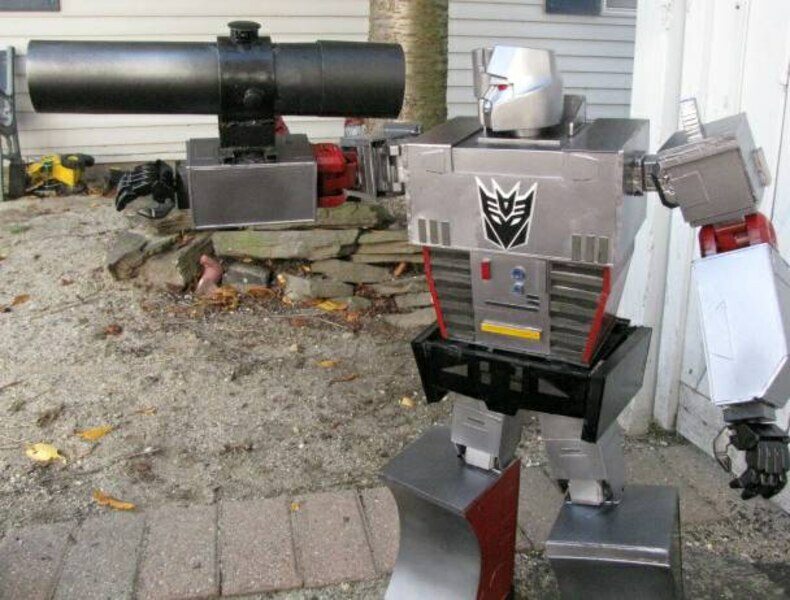 Jetfire has 3 modes: Robot, jet and Battle/Mecha-mode. 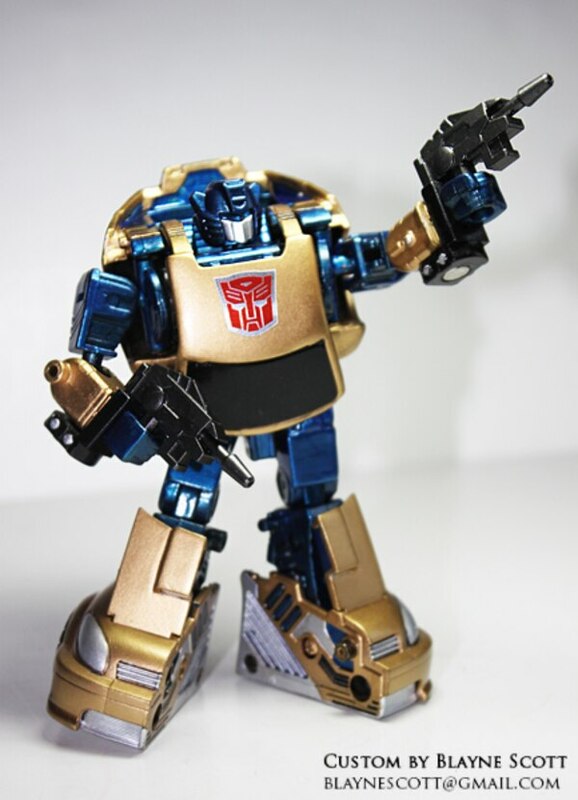 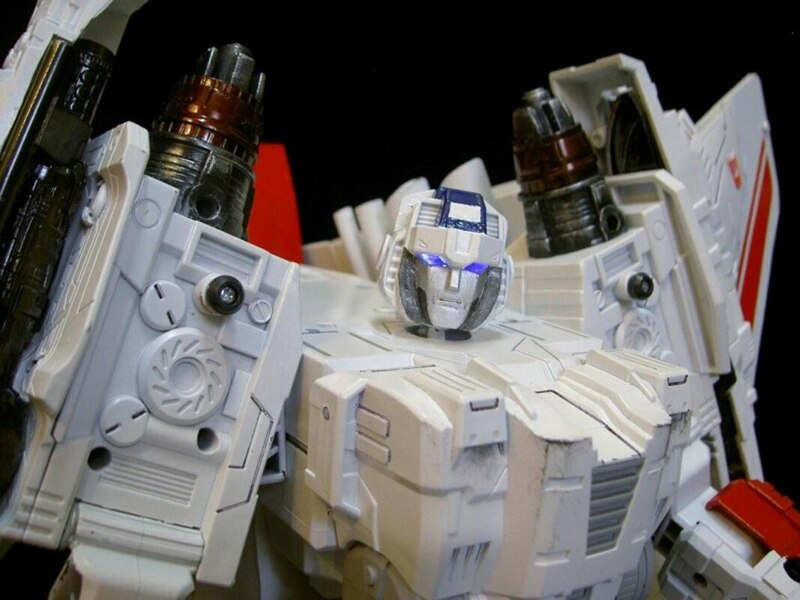 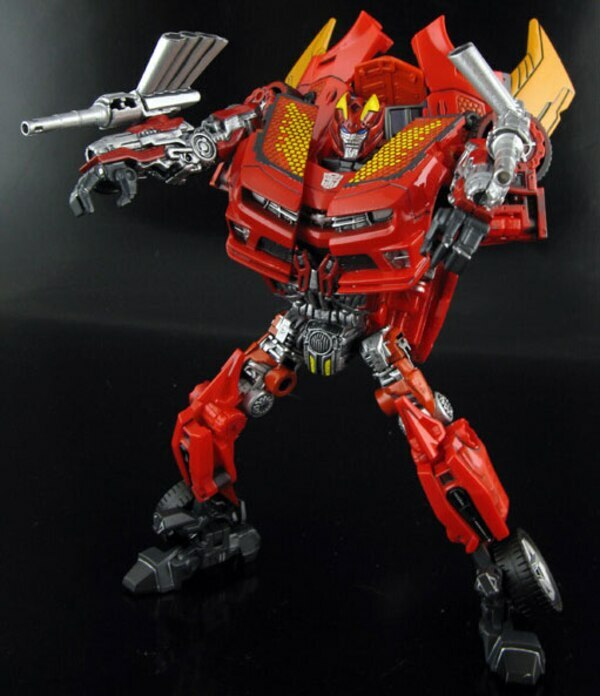 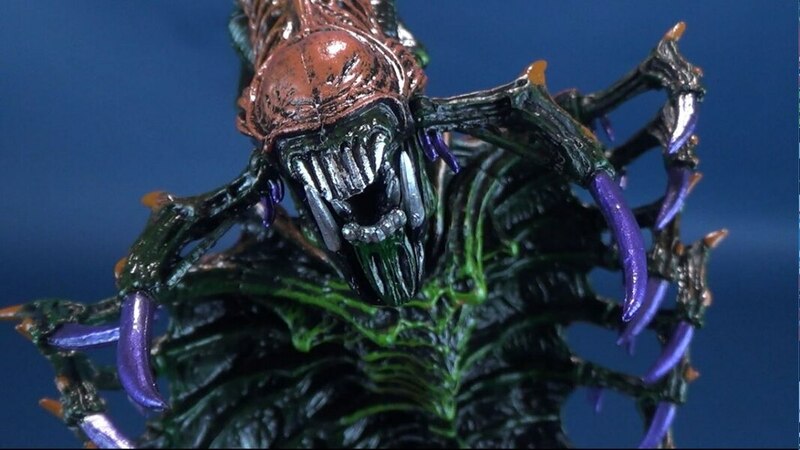 This figure is 50% scratchbuilt and is fully transformable and has light-up LED eyes."